Elvira: Mistress of the Dark is a 1988 comedy horror movie from long-time Saturday Night Live director, James Signorelli. It stars Cassandra Peterson in her Elvira role alongside television actors like W. Morgan Sheppard, Daniel Greene, Jeff Conaway, Kurt Fuller, Edie McClurg, and Ira Heiden from A Nightmare on Elm Street 3: Dream Warriors. This was the first time that NBC had strayed into feature films. And they were going to use it to introduce Elvira, a very talented tv-star, to a wider audience. Elvira is a television hostess in LA that quits her job after her boss harasses her. She wants to start her own show, but is low on funds. That’s when she learns she’ll be gaining an inheritance from her deceased great-aunt Morgana. So, Elvira travels to a small, slow-paced, puritanical, New England town to learn about her gains. Unfortunately to her, the inheritance is a rundown mansion, an ankle-biter poodle and a dusty old recipe book. A recipe book that may be more than just a tome for tasty treats. Television horror movie host, Elvira visits a small, slow-paced, puritanical town to gain an inheritance from her deceased great-aunt Morgana. 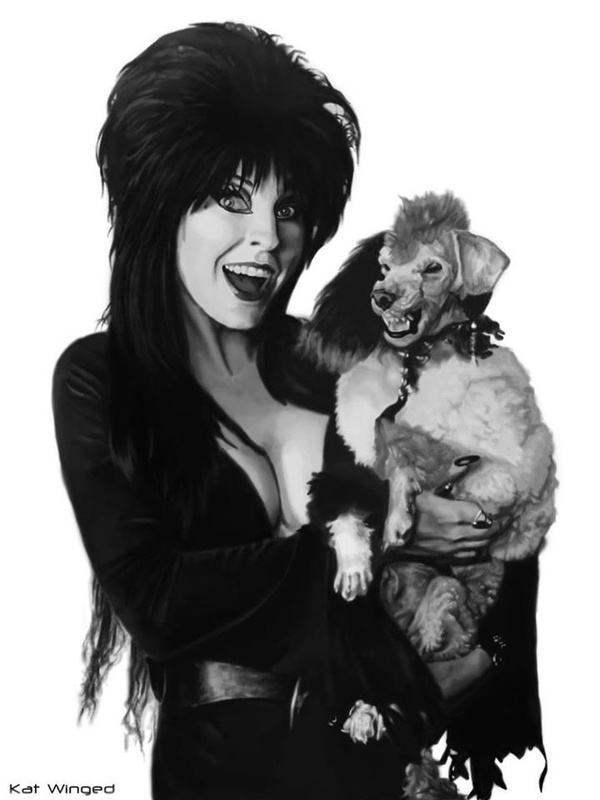 Instead of getting any money out of the deal, Elvira is left with a rundown mansion, an ankle-biter poodle and a dusty old recipe book. Also, no one in town seems to want her there and they accuse her of witchcraft. Elvira is a movie that would have been more suited for television. Cassandra Peterson is funniest with a small television audience. Not a knock on her work. It’s just her style. Most of the cast and crew all come from that same background. So it would have been more appropriate for this to have been a Made-for-TV movie. Ironically, this movie that was produced by NBC Productions is too crass to be televised without large amounts of cuts. This is a corny feature that exists only to give Elvira a platform for her over-sexualized, punny humor. I personally love her dark-themed jokes. Although, they seem more at home on the small screen. But without her there is literally no movie. It’s a paper-thin story with ludacris writing that entertains a very specific audience. It’s not a bad movie, if you’re a fan of Elvira.